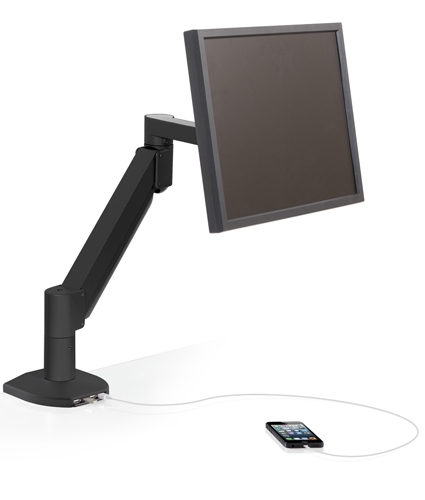 Innovative's Deluxe Flat Panel Monitor Arm makes it easy to position your monitor in the best ergonomic position. 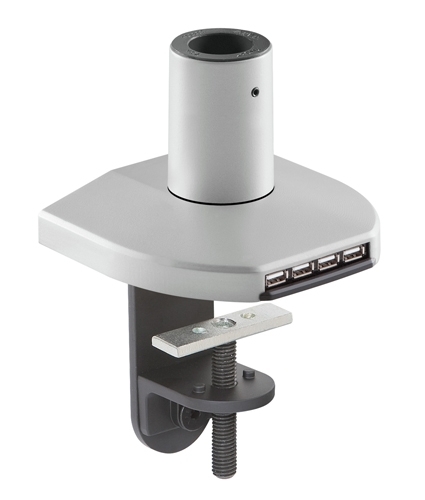 AND it features an integrated USB hub to reduce clutter on your desk. The award-winning 7500 Radial Arm features an innovative cable management system inside the arm which helps to keep your desk organized. You’ll never work the old and cluttered way again! 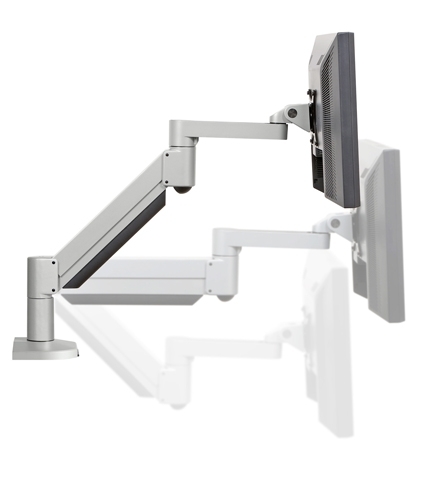 It includes a TEN year warranty and the patented HD tilter with spring-assisted pivot for smooth adjustment of any monitor from 2- 44 lbs.